Home | 2011 | October | 14 | Go, Fight, Putt!! October 14, 2011 GolfComments Off on Go, Fight, Putt!! 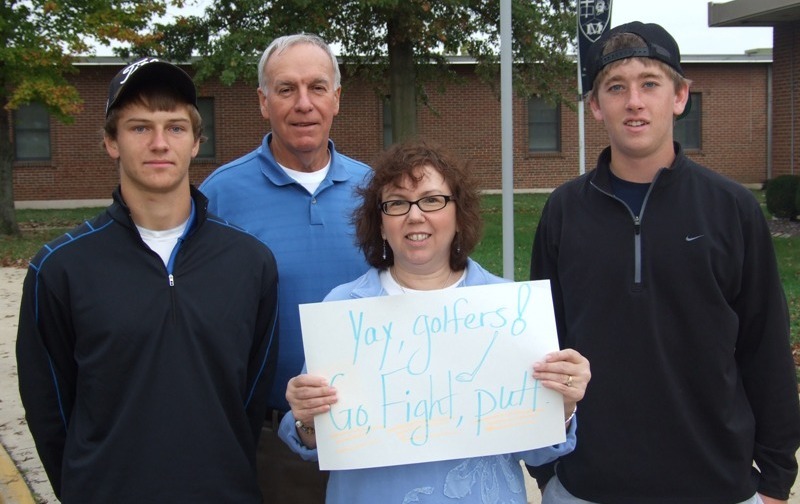 Mrs. Donna Goetz wishes good luck to Mater Dei senior golfers Steven Becker and Parker Lawrence as the pair leaves school to participate in the state golf tournament in Bloomington. With the golfers and Goetz is Dennis Trame, MD Golf coach.